The Hostel Punta de Monte is a family business; we took the initiative to start this hostel to serve the tourists that wish to visit us and who want to spend a nice time knowing, enjoying and exploring the marvelous places that exist in our country. We wish to offer the best we have; a place where the visitor can feel like at home or maybe even better. 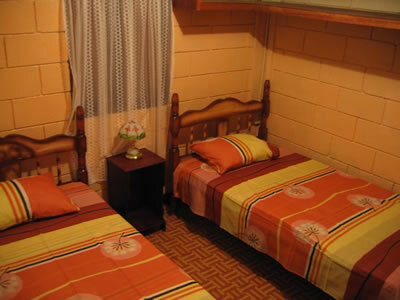 At the Hostel Punta de Monte, we offer comfortable rooms far from any noise, equipped with fans, small tables with lamps, and closets, where you can rest with comfort. Close to your room you can find the bathrooms with showers with hot water. 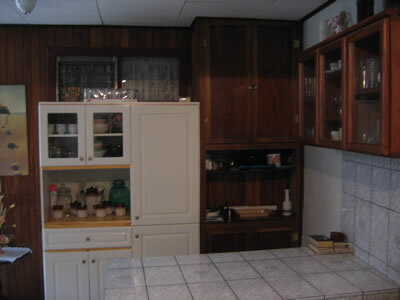 If you like cooking, you can use the two totally equipped kitchen, where you can prepare your own dishes, if you wish so. For the resting moments, before or after a tour, you can enjoy the living-rooms to listen to music, read, watch some TV or simply have a chat with your new friends. If you want to be in touch with your family and/or friends just take advantage of a fast and reliable around the clock Internet connection. 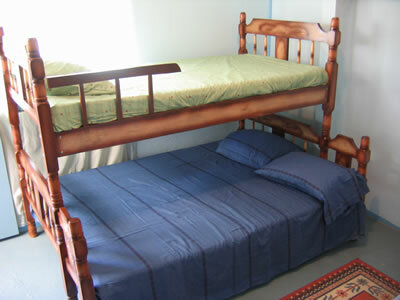 For those who want to do some exercises, the hostel has an area for this purpose. You can also enjoy our green areas - a site of nature and birdwatching. You may see one or another squirrel that inhabit the numerous trees. Our reason of existence are your wellbeing and comfort, we provide security around the clock and an excellent daily cleaning service. We also provide laundry and drying services. 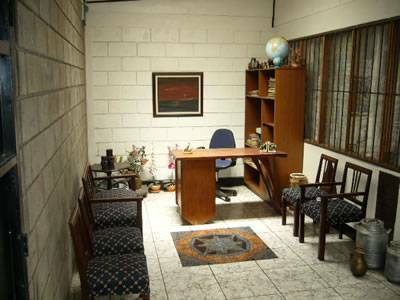 At the Hostel Punta de Monte we wish that your stay in Costa Rica is as pleasant as possible and you can be sure that we will provide help from the moment you reach our beautiful country. Whenever you make a reservation, please tell us when and with hich flight you are arriving and we'll be waiting for you at the airport. Your transport from the airport to the hostel is free of charge. Once you are here at the hostel we can organize some tours or just provide the needed information, so you can organize your stay on your own. The Hostel Punta de Monte is a small family business, where our mission is to make your stay an unforgettable and pleasant experience... For more information about our services, prices, or just to know us better, please don't hesitate in contacting us. Outskirts of the city of Alajuela (2. 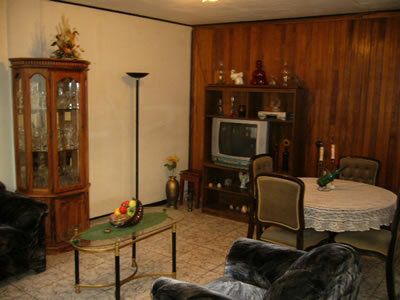 5 km from downtown) and 8 minutes from the International Airport Juan Santamaria. No payment previous to arrival. Cancellation on check-in. 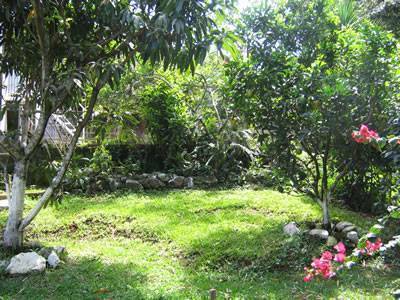 The Hostel Punta de Monte is located 2. 5 km east from downtown Alajuela, following the National Route 125 (Street in direction to Carrizal). It is located on the left hand, 200 mts. after the Sta. Eduviges Church and 100 mts. before the street "Calle La Flory". Taxi or airport-shuttle by the hostel (included in price).